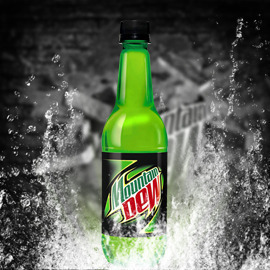 A new series of Mountain Dew contests! Dear Creators, We are starting a series of three great design contests for the brand Mountain Dew, in which the brand looks for innovative and creative ideas of new soft drinks! You can participate in one or in all three of them! Mountain Dew is not just a brand; it’s a way of life. Mountain Dew charges you to “Do you…and have a damn good time” - to be motivated by your passions for those things you love doing. Dew drinkers lead by boldly doing things their own way, and on their on your own terms, while standing as individuals within their community of friends. This week we will start with the Mountain Dew Recharge contest in which your task will be to invent a new kind of Mountain Dew drink that will help consumers recharge before they engage in an important activity. Read the full brief and participate! We will be accepting entries till September 16, 2014! Good luck!